Might be a surprise to learn that London-based Honest Jon’s Records (HJR) is the best label in a techno-focused blog. A surprise not because of Damon Albarn, former charts star of Blur fame, who co-runs the label and does it very well. It’s because of versatile catalogue, where in 2010 T++’s doublepack “Wireless” and “Splazsh” by once-promising soccer player Darren Cunningham AKA Actress were among few releases categorised as techno or electro. HJR is becoming an institution of higher music education. It doesn’t shy to release music made in Istanbul 100 years ago or folk techno from South Africa. Plus attract an all-star-band called Moritz von Oswald Trio to its roster and co-operate with human drum machine Tony Allen. 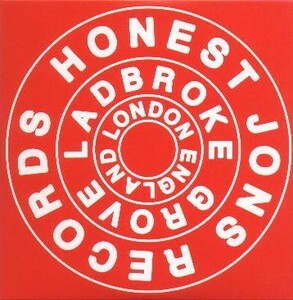 A label to watch in 2011 too and good luck to Honest Jon’s record store, a place with great selection and friendly service. Detroit is still doing it and evidently FXHE Records is among those injecting funk to the floors. Omar S., the hard-working man behind the label, provided both quality and quantity in 2010. Raw house tracks with strong techno feel still characterise label’s output but we also heard acid and deep house, with guest appearances by Gunnar Wendel, Roy Davis Jr., Kai Alce. For many still has a cult status. Two German techno factories share the third position. Although I still haven’t found alleged excellence in Shed’s releases, like recent “The Traveller”, Ostgut is a strong platform with artists like Dettmann, Klock, Prosumer and others. They just keep driving and understand what’s en vogue when published compilation “5 Years In 60 Minutes” in cassette format. Speedy J’s “Armstrong” was a highlight on CLR and later volumionus remix series of Traversable Wormhole appeared. Chris Liebing keeps the label on steely tracks. Sandwell District – really, where next? And many more…Thank you for the music! Because of three strong releases in the end of December, Sandwell District moves to the second spot of the ranking.